I am a concert harpist with a diverse range of repertoire available for background music in lounges, private functions and weddings. Emma began playing the harp at the age of 11 in her home county of Shropshire. Since leaving school, she has played with several orchestras around her county and beyond such as Shrewsbury Symphony Orchestra, Clic Sargent Orchestra and the Port Sunlight Orchestra. Emma has also played in large events such as the Girl Guiding centenary in Himley hall, an orchestral concert in Cadogan hall, Pimlico Proms and was a supporting act for the All Angels in the West Midland Show ground. A highlight of her performances was playing for the guests of HRH Prince Edward at St James’s Palace and for HRH P ... rince Andrew during St Patrick’s Day celebrations. Emma has recently graduated from the Royal College of Music where she studied with Ieuan Jones. Through her years in college she has performed with the Symphony, Philharmonic and Film Orchestra, with a harp trio, harp ensemble and as a soloist in master classes with Marissa Robles, Jana Bouskova, Rachel Masters and Chantal Mathieu. 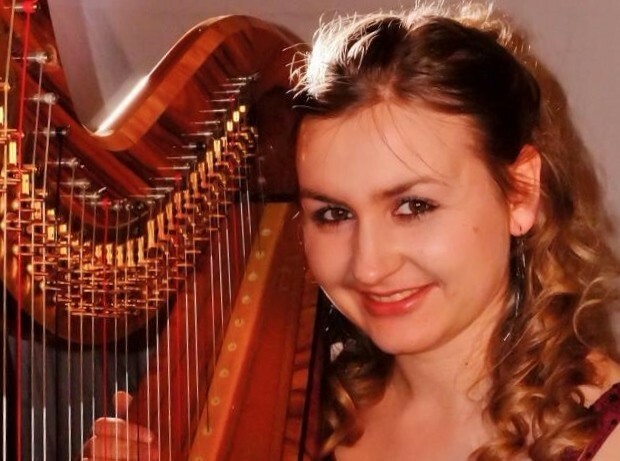 Emma is now beginning a career as a freelance harpist, playing in numerous weddings across Shropshire and wishes to expand her business further across the country. I have lots of experience playing in weddings around the country with the occasional private party. I have entertained guests of the royal family which led to the privilege of meeting Prince Edward. I have also given solo recitals in several Arts festivals around Shropshire as well as participation in the local orchestras. I am insured for Public Liability and have been CRB checked from my experience helping in schools.